Despite rising commodity costs, the consumer packaged goods (CPG) industry is in recovery mode with companies focused on a growth agenda and looking to international expansion as an opportunity to enhance both the top and bottom lines. That’s one of the key findings in “Thriving in a Connected World,” the 15th annual research report from Grocery Manufacturers Assn and PwC (PriceWaterhouseCoopers). The value of shipments in the CPG industry neared $124 billion in 2010, up 6 percent over the prior year. Across the board, financial performance generally improved over 2009, with the manufacturing sector achieving strong median one-year shareholder returns of 15 percent. In addition, median earnings before interest and taxes (EBIT) grew from 4.3 percent to 12.9 percent. The report was released in late June. 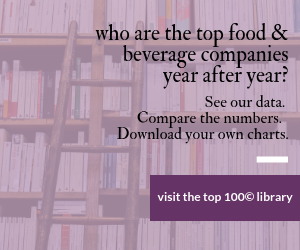 It’s based on analyses of public information from 148 companies in the food, beverage and consumer products sector. Business mobility has been shown to boost productivity in sales, supply chains, distribution centers and stores, as well as to contribute to individual productivity. To determine the best use of mobile devices across the workforce, the report suggests that workforce productivity should be viewed through three lenses: mobility on the floor where workers use their digital devices for instant information, in the field where mobile employees can make decisions on the spot with their devices, and in flight where sales representatives, who historically traveled to each location to analyze performance, now use mobile technology to monitor activity, thereby increasing productivity. The report notes that as devices and wireless data networks grow, rich multimedia capabilities will continue to be added to business work flows, and businesses will continue to capitalize on the opportunities mobile devices create within the workforce. To this point, the report notes that CPG companies currently lack detailed insights about consumers in China and other emerging markets. Many of the norms taken for granted in developed markets -- point-of-sale SKU numbers, predictable pricing models, even accurate information about how to reach a store or when it will be open -- cannot be assumed in emerging markets. According to the survey, connecting with consumers on their own digital terms will allow companies to learn how these markets work. For the analysis, the GMA and PwC examined a variety of financial metrics to see which common characteristics link the CPG companies that performed best during the slow economic environment of 2010, and how those characteristics have changed during the past five years. Most of the sales growth came organically and from acquisitions, with the strongest organic growth coming from emerging markets in Latin America and Asia. The report also found that top performing CPG companies are both generating and hoarding more cash than poorer performers – 18 percent cash flow to sales for the top performers versus 3.8 percent for the bottom quartile. Additionally, top performers paid out an average of four times more dividends per share during 2010 than the bottom performers. • The food sector had a strong year; median sales per employee grew nearly 10 percent and the median cash conversion cycle fell from 50.9 days to 45.8 days. However, there were signs of a challenging environment versus other sectors. Net sales growth did not improve to the extent that it did for the beverage and household products sectors as consumers continued to trade down in the sector on a regular basis. • The beverage sector continued overall strong performance with significant improvements in net sales growth, gross margin (43.1 percent to 47.1 percent), and SG&A expense (29.7 percent to 27.7 percent), which were able to offset a very poor year from a cash conversion perspective (rising from 38.0 days to 46.1 days). For an electronic copy of the complete report, visit: www.pwc.com/us/retailandconsumer or www.gmaonline.org. The accelerating rate of mobile device adoption is spurring business mobility and creating tremendous opportunities for boosting productivity across the entire CPG value chain. Brick-and-mortar stores haven’t gone away, but consumer product manufacturers and retailers alike recognize the need for multichannel strategies that optimize high-growth opportunities in the digital channels. Will companies match consumers' demand for more information and product where and when they want it? Matching this demand will require collecting, sharing and analyzing data together. Retailers and suppliers can no longer afford to remain apart because they worry about the accuracy and security of shared data. Prudent companies look at risk systematically with a holistic risk management framework that considers operational, financial and strategic levers. CPGs seeking substantial growth and focusing on these rapidly evolving, fast-growing markets to ensure that they are targeting the right markets with the right messages. A strategy developed through multinational and Chinese lenses creates the need for companies to change their operating models in China. PwC’s survey of 64 large CPG companies ($4 billion or more in annual revenues) found that 57 (or 89 percent) are sustainability reporters (i.e. they issue a formal sustainability report), up from only 51 percent in 2010. Companies should apply ROI discipline to identify and prioritize consumer sustainability demands and preferences that drive purchase decisions. Companies should respond to the Food Safety Modernization Act (FSMA) by assessing their current food safety policies, evaluating their suppliers’ safety programs and establishing a food safety/FSMA steering committee. Fundamental reform of the U.S. tax system is now working its way to the front and center in Congress and the White House. Even if a major reform package does not get voted on this year, CPG companies should start to engage in the political process now, so they can influence the eventual outcome.